Look under the hood of some of the coolest electric cars around. Members of the Seattle Electric Vehicle Association will be on hand with their electric vehicles for you to check out: a 2013 Fiat 500e (driven and signed by Clint Eastwood!) and a 2008 Tesla Roadster named “Ruby”. 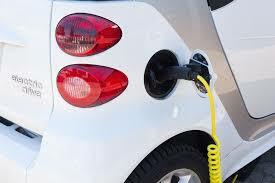 Ask questions and learn more about what it’s like to own and drive an electric car. Stop on by their display in the northeast corner of the Festival.